…but the idea of spending a few days living outdoors and sleeping in a tent sound like a lot of work. And sleeping on the ground sounds, well, unpleasant, haha. 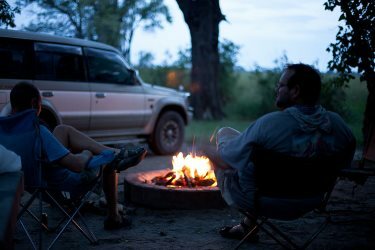 Well read on, because you’re about to discover easy tips that will make camping as comfortable as possible. Making camping comfortable involves more than improving your sleep comfort. Bring the comforts of home to your campsite. Food is key when considering comfort. Pack yourself a cooler of what you would eat at home; there are heavy duty coolers that will hold ice for days. A camping stove, or camping grill, allows you to cook a warm meal. A neat trick for hot weather is to freeze a bunch of water bottles and keep them in your cooler. They will keep your food cold and keep you hydrated once they melt. After a long day on the trails, you will be looking for a place to relax. Camping chairs come in different shapes and sizes; some even lounge and rock. A camping hammock can be hung between two trees and many choose to sleep in one. Watch the video below to learn how to set your hammock up at your campsite. A big question when thinking about camping and comfort is how to sleep comfortably. We can help. Comfortable camping begins with a tent. When considering camping tents, make sure to choose one that is suitable for the conditions you will be using it for. Three season tents are sufficient for the moderate temperatures of the spring, summer and fall. These tents are lightweight and include mesh panels to promote air flow. Three-plus season tents offer additional retention of warmth and mare made sturdier to stand against wind. Four season tents are designed to handle significant winds and snow. Also called mountaineering tents, these include sturdier poles and heavier fabrics to retain warmth and remain stable. When choosing a tent, pay attention to its size. A three-person tent may not have the space to sleep three people (and their gear) comfortably. Choose a tent that is suited for at least one more person than you plan to camp with. Upon setting up your tent, choose a flat part of your campsite to pitch it; and lay down a tarp first. A tarp will help keep moisture from entering your tent. Next, set up your camping bed. Choose a sleeping pad, air mattress or cot to keep you off the cold (and often uneven) ground. There are three types of sleeping pads; self-inflating pads, where you open a valve and it automatically inflates. Another option is an air sleeping pad, where you either blow it up yourself or use a hand pump. The third option is the closed-cell foam pad, which can be stiff, but is ready to use without inflating. 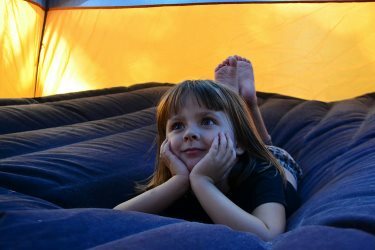 An air mattress can be purchased in a twin or larger size. A hand pump or battery-operated pump can be used to blow the air mattress up and to the remove the air when packing up. Camping cots vary in their firmness, ability to resist tears, amount of weight they can handle and how many people they can hold. Sleeping bags are rated for different temperatures. Three season bags are a match for +5 degrees F to +29 degrees F which will be comfortable for camping from the early spring through the fall. A -40 degree F to +4 degree F sleeping bag is a must when camping in snow and ice. Offering insulation with a high fill value and features that keep drafts out, you can get warm and stay warm in the coldest conditions. If you mainly camp in warmer temperatures, a +30 degree F to +55 degree bag may be sufficient. Requiring less insulation than their warmer counterparts, these bags will typically be lighter. A pillow is a must and there are two main types; compressible and inflatable. Both types come in a variety of shapes. Compressible pillows are filled with down, synthetics, foam or a combination with outer fabrics like fleece, cotton or nylon. Inflatable pillows are lighter weight and their firmness can be adjusted. Try a sleeping hat to avoid losing heat and keep your head warm. Camping does not have to be uncomfortable. In fact, with a few preparations, you can enjoy the comforts of home along with gorgeous views and fresh air!